Dear all Huawei smartphone users! In the recent updates released, Huawei has already updated the bootloader level of their phones. Thus, bypassing Google Account becomes more difficult. We usually use Talkback to bypass google account on our Huawei phones. However, taking advantage of TalkBack is no longer available on some Huawei models. So, in this post, we’ll show you an updated method to bypass Google account on your phone that is using Data Transfer feature. All you need is to recover apps on your Huawei devices. Now, let’s start FRP bypassing on your phone. However, before proceeding, you need to prepare some things first so that the process can be successful. 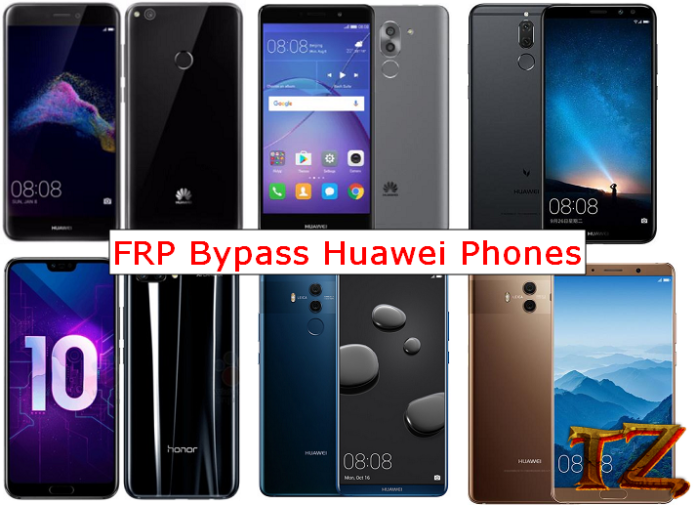 Once you meet all requisites, let’s dig into steps to FRP bypass on Huawei devices. We tested this method on Huawei Mate 10 Pro, but other Huawei phones can also try it. First, connect your Huawei phone to a Wi-Fi network. In the Huawei device screen, choose With Phone Clone. Next open the Phone Clone app on the other device > tap on This Old Phone and scan QR code. Now, tap on Apps & Data and tick on Files & Shareit Next, tap on Transfer and wait for the process to complete. On your Huawei phone, return to the Select Language Next, press and hold two your fingers on the screen for 10 seconds to open TalkBack. Now, draw L letter and tap on TalkBack Settings. Next, press & hold Volume rockers to disable Accessibility Shortcut.